Sept 6th Mosport DDT lapping event. 2009-13th Touge.ca lapping event! July 26th Shannonville Full Track lapping event! 9th event of Touge.ca! July 18th Shannonville Full Track lapping event! Touge.ca, 2009 8th lapping event!! July 5th Mosport DDT lapping event, 1:00-5:00pm! 2009-7th Touge.ca lapping event! Quick Reply: AZ/SOCAL . 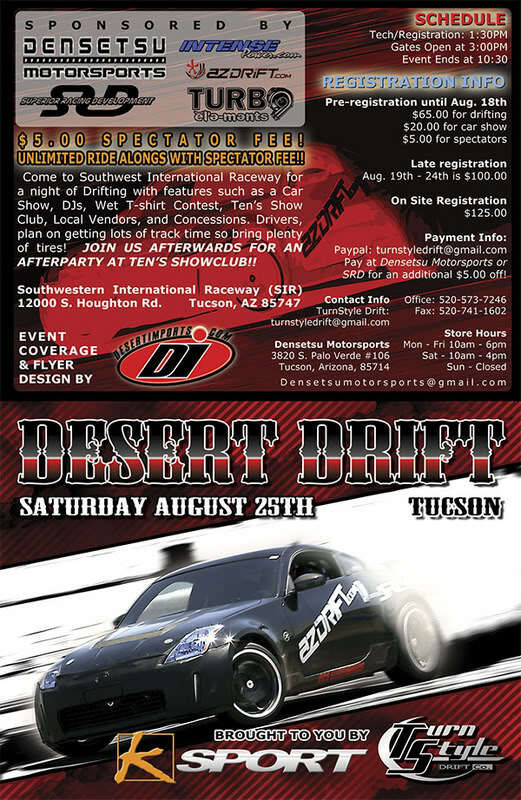 :DRIFT EVENT:25AUG:TUCSON:.